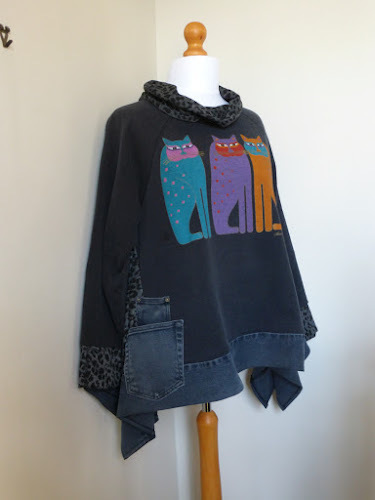 I recently recycled ('upcycled') a sweatshirt that no longer fitted me. 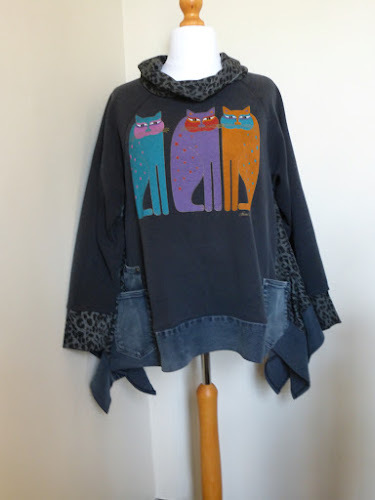 I bought it many years ago, and couldn't bear to dispose of it because I love the image on the front – a design of 3 cats by Laurel Burch. I removed the ribbing at the neck, cuffs and hem, and opened the sides up to the armhole. I found an animal print t-shirt in grey at a local charity shop. I used two large rectangles cut from this to make inserts at the sides, and the remaining fabric to make new cuffs and a cowl collar. The resulting garment was not long enough, so I searched around for some garment to make bands around the bottom. Black sweatshirts proved to be too dark for the faded fabric of the original, but grey ones were too light in colour. Eventually I came across some faded black jeans with a broken zip that seemed just right. I cut strips from the length of the legs and added them to the bottom. 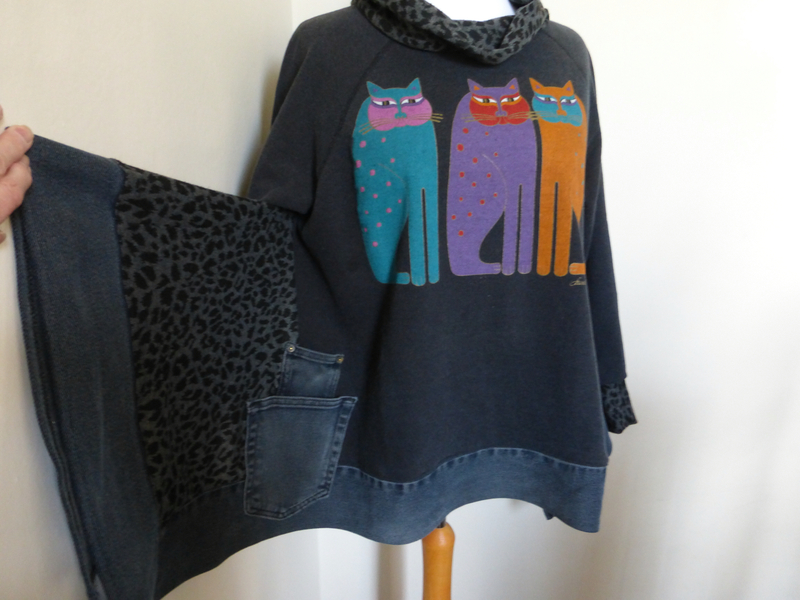 Having removed the pockets of the jeans, I decided to add them to the front of the sweatshirt as a finishing touch.